Be a more profitable hospitality enterprise Hospitality industry can use SMS for improving their communication channels and to optimize their marketing costs. By using an advanced cost-effective solution to disseminate business information, the industry can increase profits. The need for effective and instant communication can be seen with the fact that the companies may suffer losses if customers are failed to arrive or fulfill the reservation. Customers may forget about the reservation or may be possible they didnâ&#x20AC;&#x2122;t receive confirmation from the entity regarding their reservation. 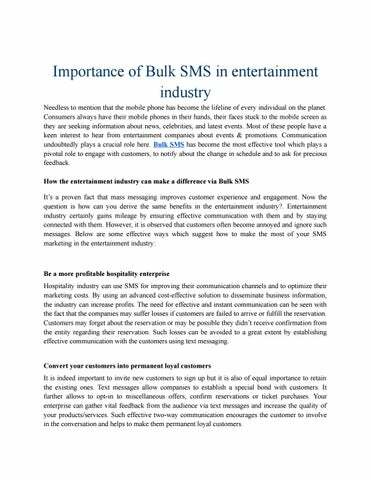 Such losses can be avoided to a great extent by establishing effective communication with the customers using text messaging. Convert your customers into permanent loyal customers It is indeed important to invite new customers to sign up but it is also of equal importance to retain the existing ones. Text messages allow companies to establish a special bond with customers. It further allows to opt-in to miscellaneous offers, confirm reservations or ticket purchases. Your enterprise can gather vital feedback from the audience via text messages and increase the quality of your products/services. Such effective two-way communication encourages the customer to involve in the conversation and helps to make them permanent loyal customers. 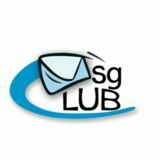 Increase traffic to your website and social media platforms Advanced tools of the Bulk SMS Gateway industry enables you to send the link off your website along with the message. A URL shortener is a tool which shortens the URL of the website or landing page and saves the precious character limit of the message. In this way, you can not only promote your business effectively but can also increase your website hits. Besides, the tool is envisaged with all the advanced features and enable the enterprise to track the campaign.